This week's beautiful design team projects from Kristie are all from the My Mind's Eye - Miss Caroline - Fiddlesticks - I Want It All! Full Collection Bundle. The Fiddlesticks collections is reminiscent of walking into a quaint, old home - with it's somewhat faded wallpaper and loved fabrics. 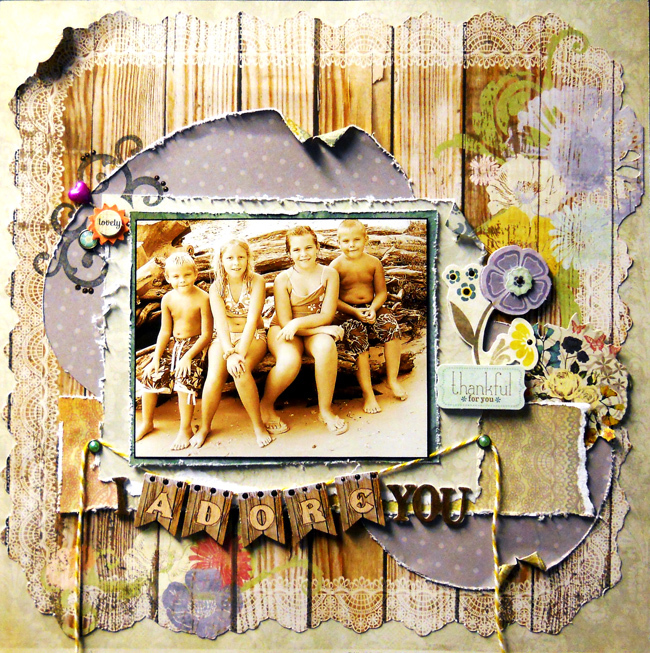 Enjoy Kristie's tutorial for making this "adorable" layout! From ‘Home’ paper, cut border from around lace design. Cut a 9 ½” x 2” rectangle from the ‘Lucky’ paper. Distress the edges and tear one side, then place as shown. 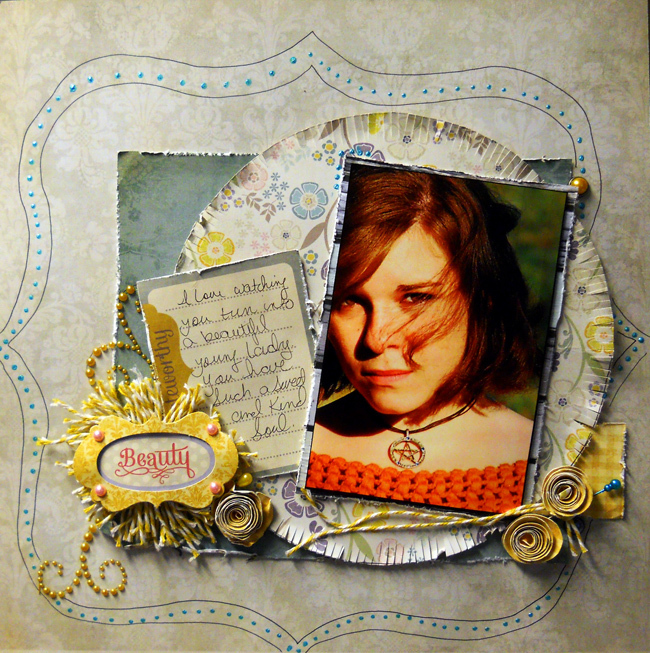 From the other side of the‘Lucky’ paper, cut a 7” oval and another 5” circle distress all edges. Place as shown. Cut a 7”x 5” in rectangle from the ‘You and Me’ paper. Distress edges, and place as shown. 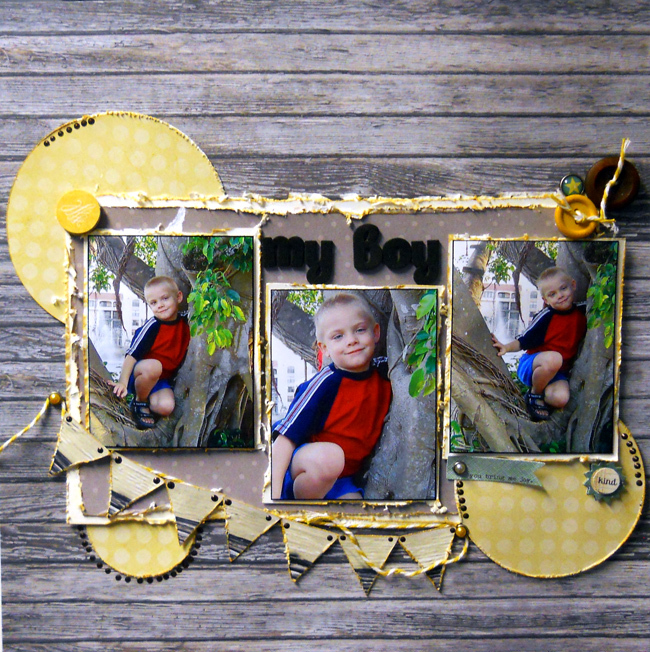 Using the ‘Lucky Tapestry’ paper, make a photo-matte ¼” larger than your photo. My photo is 5 ¼” x 4 ¼”, so my matte is 5 ½” x 4 ½”. Cut one flower design from the ‘Lucky Tapestry‘paper, this will be one embellishment. Using the ‘Flourish’ stamp and black Pigment ink, stamp the image twice in the upper left corner of the photo as shown. Use the 3D stickers provided in the kit for your title (in the arrangement of a banner) and embellishments. Use the twine as the rope for your banner- anchoring with two brads. Black Pigment Ink, Thickers, Stickles. Wow- is all I can say... Love it all. Thank you for the inspiration-!